Trying to pretend that I’m a hip parent instead of the stodgy forty-something that I really am has been a full-time job. The ways in which my teenagers are able to connect with their friends is mind boggling. Though I dabble a bit with social media apps (well, actually, just a single app) – my boys can zing in and out of probably six or seven different apps, sending texts, pictures and lord only knows what else to their friends. Two recent games from GenCon try to ride this wave of oversharing and bring enjoyment to your gaming table. In this story-telling party game, there are two decks of cards. 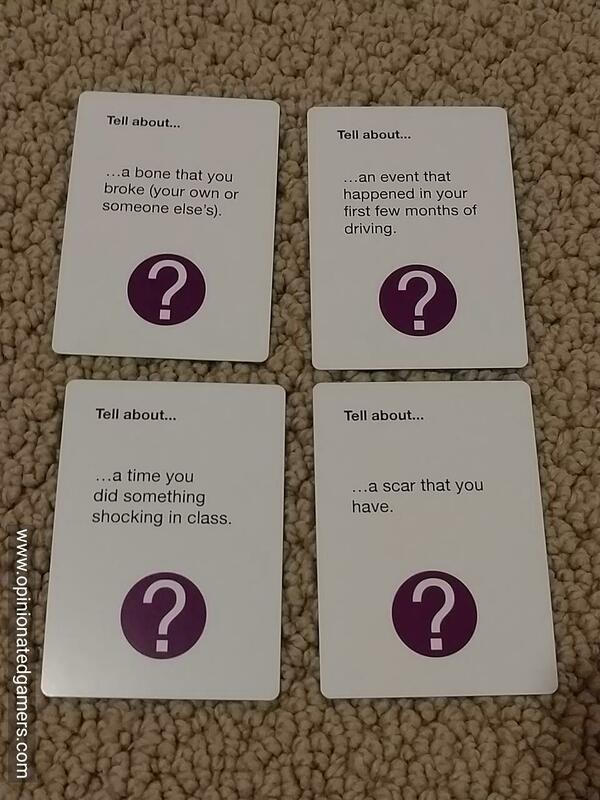 The first deck is the story cards – these are short prompts which will hopefully provoke funny stories from the players. 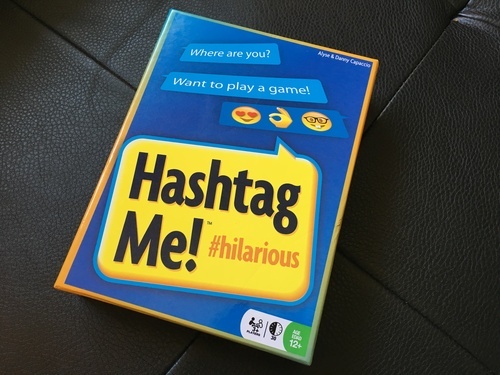 The second deck are cards full of Hashtags. For those of you who may not be familiar with the concept of the hashtag –the word is actually in the dictionary now. Per Merriam-Webster: “ a word or phrase preceded by the symbol # that classifies or categorizes the accompanying text (such as a tweet)”. 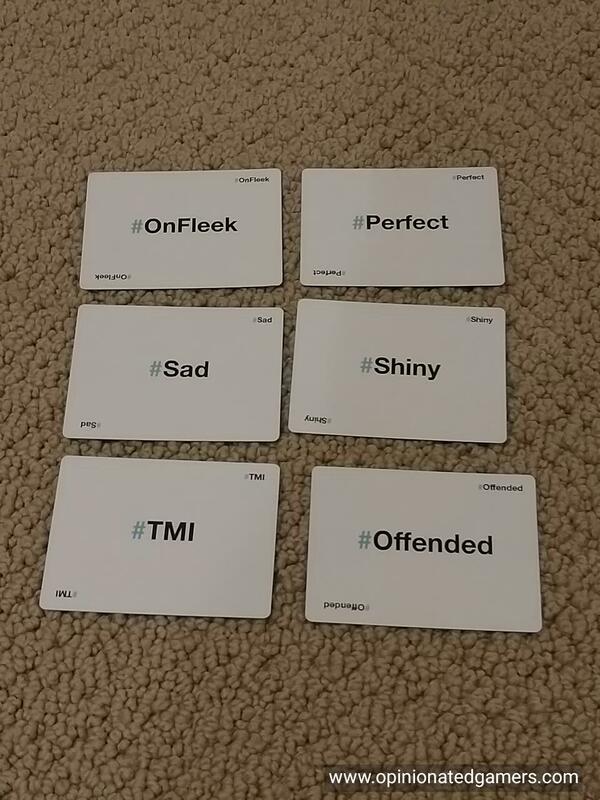 Each player is dealt a hand of 6 (or more) hashtag cards. Now, one player is designated to be the first storyteller, and this player takes a prompt card and starts to tell a story based on that prompt – i.e. “Tell about a time that you won a contest…”. There is no limit to how long or short the story needs to be. As the storyteller is recalling (or making up) his story, the other players look at their hashtag cards, and whenever it seems appropriate, they throw the hashtag cards down on the table and say it aloud – i.e. “hashtag unbelievable!” As each hashtag comes up, the storyteller keeps going unless he feels that the hashtag is inappropriate (i.e. it doesn’t match the story). If so, the storyteller can call for a vote where other players vote yes or no – with their thumbs – to keep it or not. Anyways, the story goes on until the Storyteller decides he is done, and at that point, no further hashtags can be played to the table. Then it’s time to score the round. Like in real life, the true goal of social media is to have the most followers so that people know how cool you are. When the story is done, the storyteller gets 1 follower for every hashtag that was played during their story and accepted. Further, each other player gets 2 followers for every hashtag that they successfully played. Finally, the storyteller picks out one card as the best Hashtag of the round, and the player who played that card gets 3 followers. All played cards are discarded, and everyone draws back up to six hashtag cards in their hand. The next player becomes the story teller for the next round and the game continues. Keep going until you have collectively told at least 7 stories AND everyone has had an equal number of turns to be storyteller. The player with the most followers wins! This is one of the few games that I’ve found where it’s acceptable to play on your phone during the game. In fact, it’s mandatory. The game centers around a large deck of cards, each one of them having a different challenge on them. The concept of the game is simple. The judge draws a card and reads it aloud. 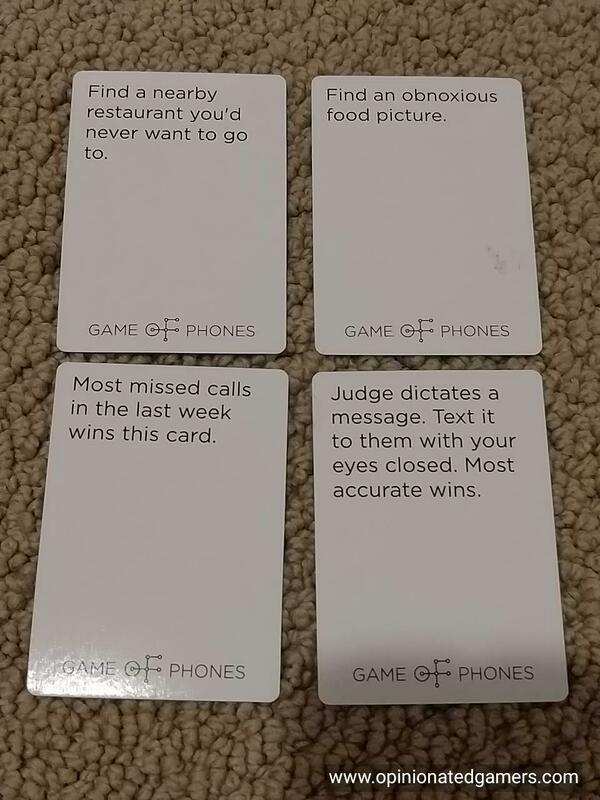 Players then have 60 seconds to use their phone to best answer the challenge (and we’ve added the extra fun rule that players then have to text their answer/screenshot/etc to the judge). The judge then decides which player gave the best response, and that player scores a point. This goes on until someone has ten points. 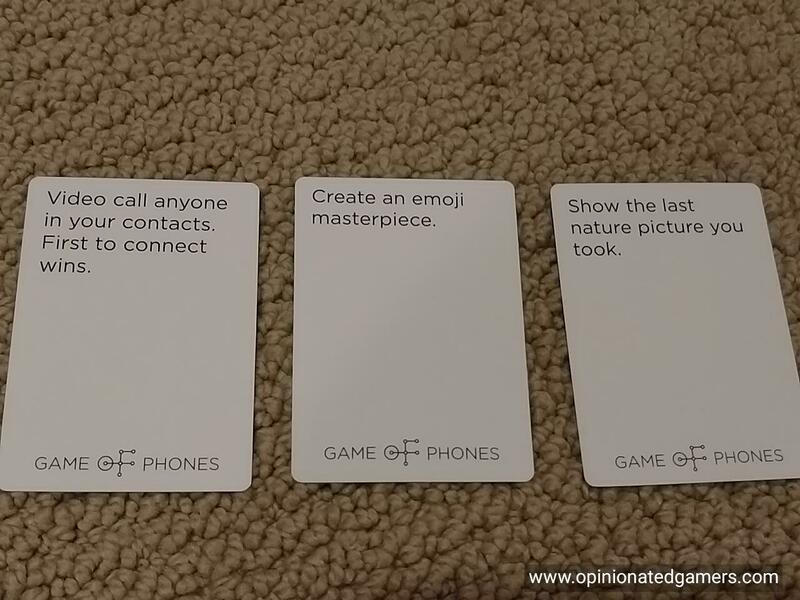 Many of the cards are social media related – such as showing the last picture you’re tagged in, or who can find one of their own posts with the most likes/thumbs. Some are related to the phone itself – lowest current battery percentage, who has the most pictures on their phone, who has the least memory left. Others ask you to take pictures of things as the challenge. Other see who has the best search engine skill, or who might be able to place the best things in a shopping cart at an online store. That’s the whole game! We found that it was a blast to play in the car while we were waiting for some kids’ soccer. 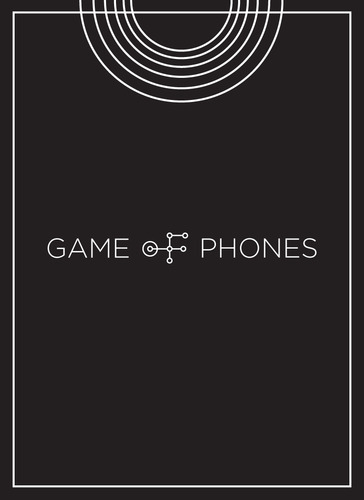 The deck of cards can be passed around, and otherwise, you only need your phones to play. Each round generally brings something hilarious to the phone screens – and it was an enjoyable way to pass the time. For both of these games, we ended up not scoring the points, as we found that we were really just having fun playing the game and not worrying about who was winning or losing. Obviously, neither of these games will be the centerpiece of game night, but for evenings with friends (and maybe a few bottles of wine or beer), they will keep you laughing all night.